Continuing down Highway 1 we arrive at the iconic Bixby Creek Bridge. I last wrote about this bridge in my blog of February, 2009. 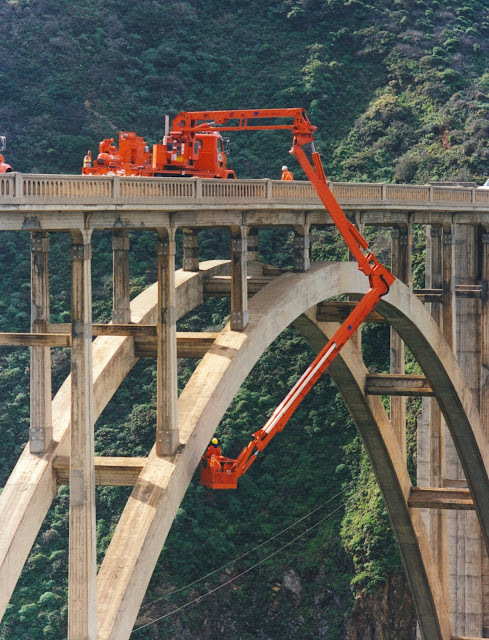 In the photo above Caltrans and Lawrence Livermore Labs are installing sensors to obtain the modal frequencies of the bridge before it is retrofit. All of the sensors were installed in the morning and in the afternoon a truck filled with electronic equipment recorded the modal frequencies using the ambient vibration of passing vehicles. 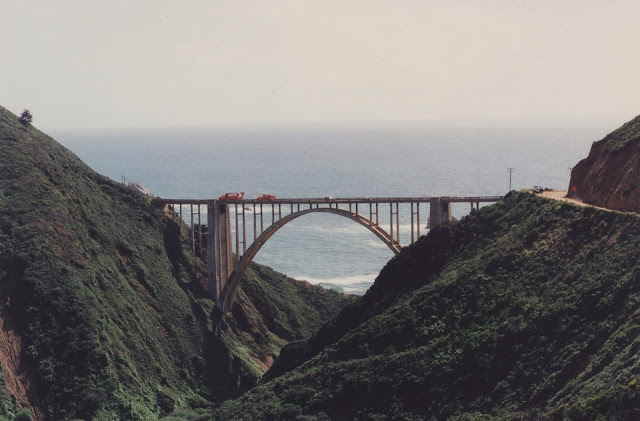 Monterey County, California Bridges: Bixby Creek Bridge by Mark Yashinsky is licensed under a Creative Commons Attribution-NonCommercial-NoDerivatives 4.0 International License.